"Perhaps the sight of beauty makes him lose control of himself, so he kills." Mario Bava's presence as an influence in the genre is usually made in reference to his development of the giallo film, as he laid the stylistic and plot foundations in films such as The Girl Who Knew Too Much. However, the Italian legend is also responsible for inspiring another sub-genre that would go on to dominate the horror scene for nearly an entire decade: the body count film. While Bava's seminal gore film Twitch of the Death Nerve (aka Bay of Blood and a million other titles) is especially cited with inspiring this movement, Bava was already working on planting the seeds nearly a decade earlier with Blood and Black Lace, which straddles to border between the still-developing giallo film and the body count genre. Isabella is a model for a fashion house owned by Max Marian and the newly-widowed Countess Cristina Como. One night while walking home, she's attacked and brutally murdered by a masked madman. During the investigation, it is revealed that Isabella kept a running diary detailing some recent, sordid events, which makes everyone a bit nervous. Before long, there's a trail of destruction left in the wake of the diary itself as the killer attempts to track it down before any incriminating evidence can be found in it. Obviously, one can gather from that brief plot synopsis that the film is set up for many giallo trademarks and standards, particularly the wild twists and turns taken by the narrative. 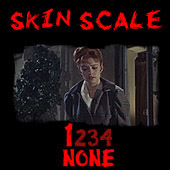 However, the film varies from the normal giallo standard in a couple of ways: first, the final revelation is made early in comparison to others, as there's about twenty minutes left in the film once we find out. Secondly, and perhaps most importantly, there's less emphasis on the "whodunit" element, with more emphasis on the stalking and death scenes themselves. By this time, Bava himself was by his own admission a bit bored with standard mystery films, so he decided to spice things up by creating elaborate kill sequences, a philosophy that's at the center of the body count sub-genre. Furthermore, Bava pushes the limits of sexual imagery, conflating it with death at almost every turn, another notion that would be co-opted about two decades later. It's probably quite likely that Bava realized he needed to take this approach out of another necessity: the film's script isn't the strongest and not nearly as riveting as many giallo films. Indeed, the film just sort of meanders along and would be quite sub-standard without the innovative death scenes and Bava's trademark stylish direction. The latter is without a doubt the film's strength, as the film is awash in color gels and atmospheric scenery, a trait that would become a standard of many later Italian films, particularly Argento's. The film really straddles the line between overtly gothic work like Bava's own Black Sabbath and the slick, stylish gialli of the 70s. Notorious for its gore and shocking death sequences, Blood and Black Lace certainly would have pushed the limits of mainstream 60s cinema. Only four years removed from the groundbreaking violence featured in Psycho, Bava takes things to another level by not only bluntly portraying the violence like Hitchcock did, but also by seemingly reveling in it. Not content to merely slash up a few bodies, Bava dispatches the victims in a variety of ways. While it's tame by modern standards, this very notion marks a fairly important development, as its the kernal of the body count sub genre. Plus, the film's killer as a nice, distinct visual look and even a bit of a signature weapon (a spiked glove). The antagonist is someone reminiscent of the title character in The Bat, and it's hard to believe that Blood and Black Lace is only five years removed from that film, as it plays out like a more stylish and sleazier version of it. Ultimately, Blood and Black Lace is more notable for its historical context rather than the film's actual quality. However, this is not to say that the film is poor or even mediocre, as Bava's visual style manages to pull the film above its somewhat limp story and forgettable acting (which would also turn out to be body count standards). Still, the notoriety of the film's title might have some expecting a transcendent classic, which is too much to expect; however, it makes sense considering that the body count genre rarely (if ever) churned out many itself. In fact, in terms of pure style, very few body count films manage to rise to the level of Blood and Black Lace, opting instead to focus solely on the gore and other carnage. Bava's film falls somewhere in the middle of the two, and it's a stronger film for it. The film has been released on DVD by VCI, who have put together quite a package for such a cult film. Dubbed the "Unslashed Collector's Edition," the release boasts two discs full of extras. Unfortunately, however, the disc comes up a bit short in the presentation department, as the transfer itself is quite washed out and not exceptionally sharp. The audio isn't much better, as the separate language tracks are supposedly wildly inconsistent in terms of content. I found both the Italian and English tracks to be clear enough, if not a bit hollow sounding. VCI makes up for it with some good extras, including a Bava commentary by scholar Tim Lucas, cast and crew interviews, the original theatrical trailer, still galleries, and even bonus music tracks from the film's soundtrack. All in all, it's a decent package, but I wouldn't mind seeing this one remastered at some point in the future. At any rate, Blood and Black Lace belongs in any enthusiast's collection, as its a pretty important film that happens to also be pretty good. Buy it!